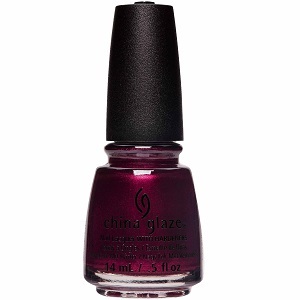 China Glaze Nail Polish, Royal Pain In The Ascot, 1560, .50 fl. oz. Deep garnet red shimmer nail color. China Glaze Street Regal Collection, Fall 2017.